The priceless crown on the head of a Sikh, bestowed by his guru is a unique identity. At the age of 8 when a child sits before guru Granth Sahib Ji in the presence of a congregation, after the Ardas and Hukamnama, a respectable elderly person decorates his head with a holy turban, this is the sign of the maturity of this young child, who from now-on promises to live a life of a Sikh. This is the sign of responsibility which is bestowed to every Sikh by the Guru’s grace. The founder of Islam, Hazrat Mohammad Sahib, used to present a Dastar to a chosen Muslim, who, after a test was adjudged to be just and religious. “A Sikh should be perfect in shape and Sroop with a turban on his head, Uncut Hair, and the Five Kakars.” This is the commandment to Sikhs. 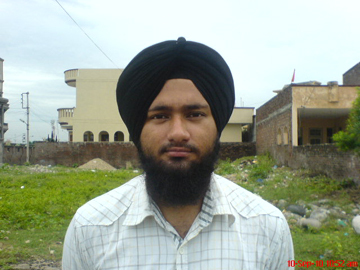 A head beautified with a turban makes a Sikh identified even in lakhs. A man in shambles, deteriorated and of haggard looks seems to be far removed from Sikhism. A turban cannot be placed on the head like a hat, neither it is wrapped on the head but is elegantly pleated like a decorative form and tied on the head. A Sikh looks attractive only with a Turban. A turban makes him distinguished, he is not hidden, and why should he be? If one changes his form get his hair cut, and trims his beard and thus makes a false show of being a Sikh, he needs to hide himself. A Turban is a distinctive mark. A turban raises the stature of a person. And Sikhs surely are of high stature, not only due to their Turban, but also in conduct and steadfastness in their saying and doing. A man of balanced mind and harmonious thinking, a Sikh always keeps up the dignity of his turban. He does not do anything which should blemish his image or tarnish the image of his turban or dare anyone to pull his turban n down. In many countries the courts even today accept the evidence of a Sikh with a turban, to be true, without any pledge and swear. A Sikh believes that “the truth is high, but higher is the truthful living.” A Sikh keeps his dictum. The turban signifies everlasting quality of truth and shuns falsehood and fraud. Indeed a turbaned head bows, but only in front of Guru Granth Sahib Ji, to the wish-fulfilling of the Sadh Sangat. A Sikhs turban safeguards his prestige but never embodied ego in him. A Sikh never pulls down another man’s turban nor he allows anybody touch his own. He seeks well for all. He is the custodian of his as well as the turban of weak and poor. The Sikhs are known for their righteousness. The turban headed are for sure the only in true form as they are sent to the earth by the almighty, no modification, no alteration. The Sikhism being a new religion has been recognized throughout the world for its unique identity, its high character, faithfulness and righteousness. The turbans were initially banned in some countries in the name of security, after the terror attack on US 7/11 2001. But even they have now recognized the truthfulness and righteousness of Sikhs. Recently a Sikh Tejdeep Singh was appointed Capt in US army, and it proved a gateway for several others. Now even Sikh women wearing turban have been appointed in US army. Turban is a gift from our Guru, keep it safe and protect it. Show the world that we are proud of wearing this crown on our heads, and we truly are worthy of it.